Ability Text: You have hexproof. (You can't be the target of spells or abilities your opponents control.) 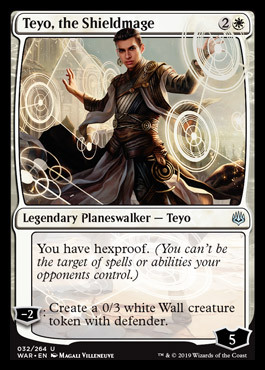 [-2]: Create a 0/3 white Wall creature token with defender.